Galaxy is an open source, web-based platform for data intensive biomedical research. 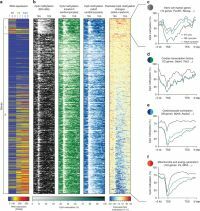 It makes computational bioinformatics applications accessible to users lacking programming experience by enabling them to easily specify parameters for running tools and workflows. Galaxy provides access to a powerful analysis infrastructure through the web, and allows for reproducible and transparent data analysis. The Freiburg Galaxy Team offers a framework for scientists on e.g. 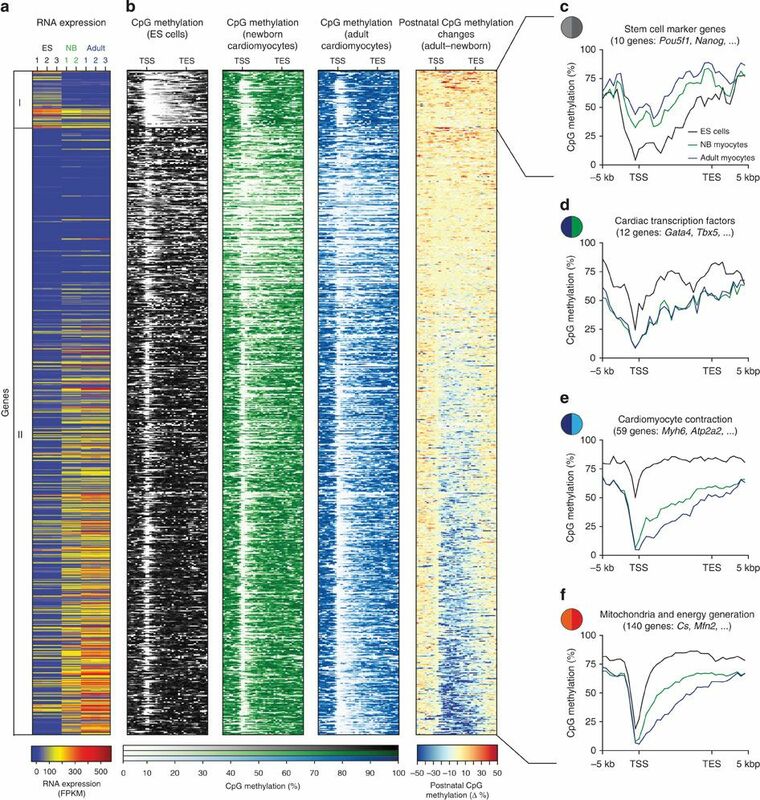 NGS data analyses (RNA-seq, ChIP-seq, Exome-seq, MethylC-seq), genome annotation analyses for eukaryotic and prokaryotic organisms (from gene prediction to functional description), Proteomics and Metabolomics analysis, and the ChemicalToolBoX for analysis of small compounds. Furthermore, Galaxy has a huge variety of data visualization tools. Galaxy contains more than 800 different single analysis tools and ready-to-use pipelines for different applications. After registration, all tools and the infrastructure for data analysis are freely available and can be used for creation of your own workflows for your specific projects. 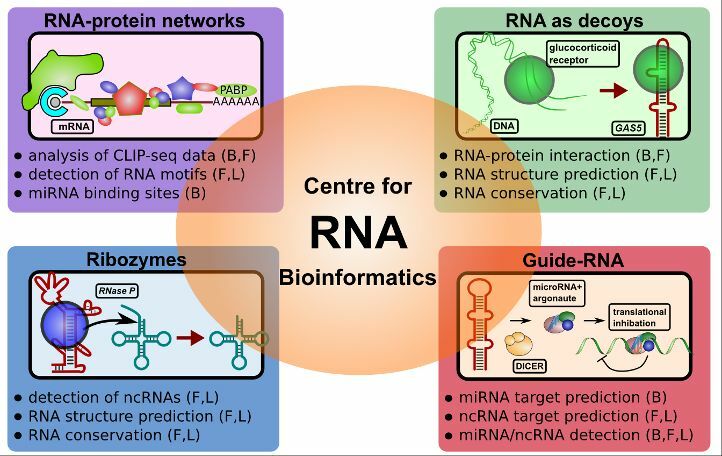 The Freiburg Galaxy Project is part of the "German Network for Bioinformatics Infrastructure" (Deutsches Netzwerk für Bioinformatik­Infrastruktur, de.NBI) and the Collaborative Research Centre (CRC) 992 for Medical Epigenetics and offers within the RNA Bioinformatic Centre (RBC) a central platform for RNA analysis. 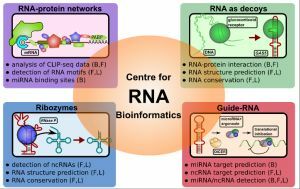 The RBC will create infrastructures and services for RNA-protein interactions by analysis of CLIP-seq data, detection of RNA motifs and miRNA binding sites; the study of ribozymes and RNAs as decoys; detection of non­coding RNAs, RNA structure prediction, and RNA conservation. The RBC will also conduct research on guide RNAs, comprising miRNA and ncRNA target prediction, and their detection. Our Software page provides a listing of Galaxy-related development done within our group. The Freiburg Galaxy Team gives support for using the framework and conducts regularly workshops on NGS data analyses and genome annotation. For further information please visit http://galaxy.uni­freiburg.de.